found this in my stash had 25 used 4 all 4 came up undefined. 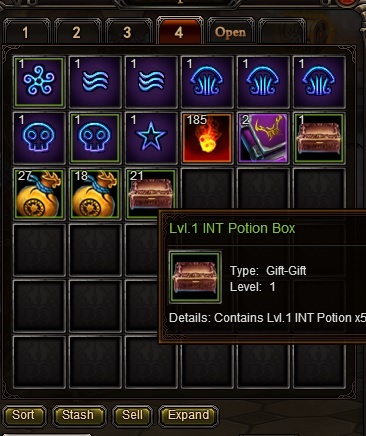 ; sure would be nice to get this returned and fixed i mean thats alot of int potions 1250 to be exact =D dunno how long ive had these for but please? ;ps any word on the 400 gold + 25 bonus gold recharge that i did on friday taht my account still hasn\'t been credited for? That\'s the unintended INT box that was put as a compensation. It has been discarded already in the system and you should do the same also. 2019-4-20 23:00 GMT+8 , Processed in 0.059772 second(s), 38 queries .